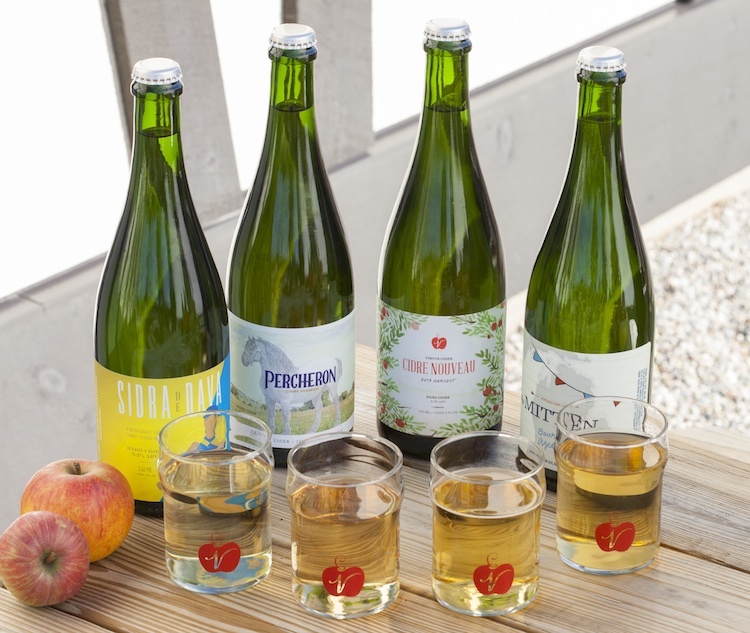 CHICAGO — Hard cider can be described fairly as America’s native local drink, the most popular fermented beverage among the nation’s early drinkers. And while cider declined and today is a tiny sliver of the U.S. adult beverage market, sales and interest are surging all of a sudden. Brian Rutzen has a up-close perspective on how the cider trend gained momentum practically overnight, as a Chicago representative for cider makers, including Uncle John’s in Michigan. Now Rutzen will play a big role in measuring how much of a thing cider is becoming in Chicago. He has signed on to manage The Northman, which will be the city’s first cider-first bar (and one of a small handful across the nation) when it opens, likely this autumn. The Northman will be located in the North Center neighborhood, near Lincoln Square. It is the latest project for the owners of Fountainhead and Bar on Buena, which have thrived as North Side neighborhood bars featuring craft beer and whiskey. Cleetus Friedman, executive chef for both of those establishments, will design the food program for The Northman; Rutzen currently tends bar part-time at Fountainhead. According to Rutzen, the new bar will have not two ciders on tap, but 18. Ciders in bottles and cans from across the United States and around the world will boost the total stock to more than 100 labels. Cider is not, by any means, a totally local phenomenon. Another hint of the sector’s growth comes from big beverage corporations, who also have jumped on the cider bandwagon. Angry Orchard cider is owned by Boston Beer Co., whose Samuel Adams line makes it by far the nation’s biggest craft beer brewer. The Crispin cider company, founded 10 years ago in California, was bought out in 2012 by MillerCoors, which also owns the newer Smith and Forge cider brand that is has been advertising heavily on TV. But much of the growth in the cider market is being fomented by producers who are very much within the traditions of the beverage’s local roots. Here is a look at two of them based in Michigan: Mike Beck of Uncle John’s, a deeply rooted apple grower that was on the cutting edge of the cider trend, and Gregory Hall, who was new to the field when he started Virtue Cider, but brought in more than 20 years of experience in beer production as the longtime head brewer at Chicago’s Goose Island. Beck is the fifth-generation owner of Uncle John’s, an orchard that for well more than a century has been in St. John’s, Michigan, about 25 miles north of the state capital of Lansing. 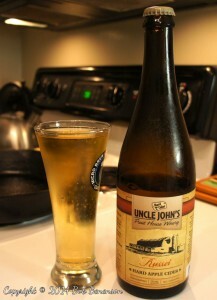 He also has played the leading role in adding hard cider to a product line long dominated by sweet fresh juice. 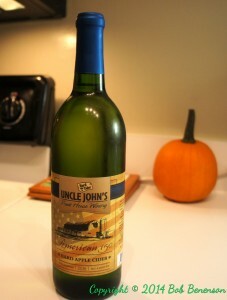 Uncle John’s has been making hard cider since 2000, “which makes us kind of a crusty veteran,” said Beck, who added, “I worked hard to make it happen here.” His fellow producers rewarded his persistence by electing him the founding president of the United States Association of Cider Makers last year. Cider’s dominance was gradually eroded, as the nation’s western expansion dramatically expanded the availability of the grains needed to make beer. The influx of immigrants from beer-loving places such as Germany contributed to the trend. So did the huge population shift from rural areas to the cities, where grains’ greater shelf life and transportability over apples gave beer an important leg up. It took until just a couple of decades ago for brands such as Woodchuck from Vermont and Magner’s from Ireland to recoup any shelf space for cider. But soon after, Beck and a few other industry pioneers decided to try their luck. It was slow going at first, but Beck said, “About two years ago, it really started happening in hard cider.” That was also around the time that Uncle John’s started packaging some varieties of its cider in four-packs of 16-ounce cans. And Uncle John’s is producing some drier, more European style varieties, such as its American 150, made from several russeted varieties. And in doing so, the cidery is promoting the revival of some traditional types of apples that had declined dramatically over the years. While Beck grew up around apples, Hall initially followed his father’s footsteps into a brewery. He was in his early 20s when his father, John Hall, founded Goose Island. 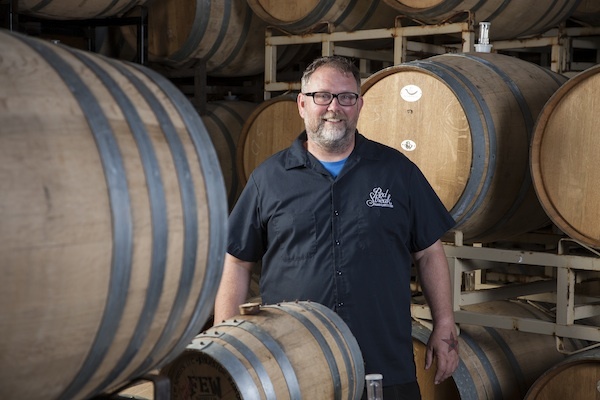 As Goose Island emerged into its longtime role as Chicago’s premier craft brewery — and an innovator, widely credited with establishing the now-popular concept of bourbon barrel-aged beer — Greg Hall worked his way up from an entry-level job to head brewer. The result was Virtue Cider, with its business operations in Chicago and its production facility across the lake in Fennville, Michigan. 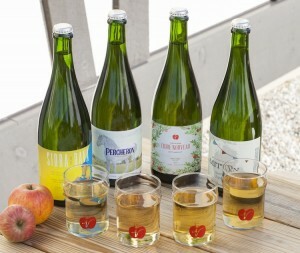 This cidery creates beverages that are more dry than sweet, in what Hall describes as “old world farmhouse styles,” borrowing from the traditions of England (Red Streak, which is Virtue’s flagship brand, and The Ledbury), France (Lapinette, Percheron, Cidre Nouveau), and Spain (Sidra de Nava). And perhaps in a nod to Goose Island’s barrel program, there is The Mitten — a reference to the geographic shape of Michigan — that is aged in bourbon barrels. The formula appears to be drawing a following. Production more than tripled in 2013 from the 60,000 gallons produced in 2012. Virtue, which opened with a single cider house in Fennville, added another recently. 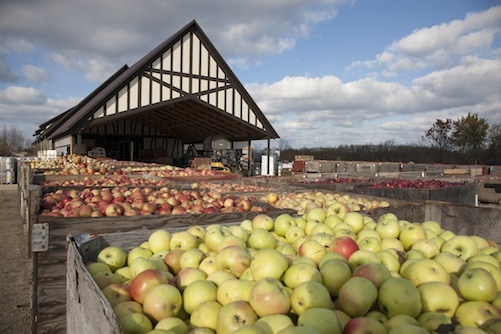 Hall, who expresses devotion to locally produced ingredients and sustainable methods, sees Michigan — the third-largest producer of apples among the states — as the land of plenty for cider makers. And he has no small ambitions. “I think we can turn western Michigan into the Napa Valley of cider apples. It has got fantastic growing conditions for apples and cider apples. Farmers can make more money than they can even growing the holy grail of the Honeycrisp [a popular eating apple] year in, year out. For lower cost too, and less spraying,” Hall said. Uncle John’s Cider Mill is located at 8614 U.S. 127 in St. Johns, Michigan, and is open from 9 a.m. to 8 p.m. every day. Virtue’s production facility is located at 2170 62nd Street in Fennville, Michigan, and is open to visitors every day from noon to 7 p.m. The Northman bar will be located at 4337 N. Lincoln Ave. in Chicago. This entry was posted in Cider, Craft beverages, Farm to table dining, Fruit and tagged cider, Goose Island Brewery, Gregory Hall, hard cider, Mike Beck, The Northman Cider Bar, Uncle John's Cider Mill, Virtue Cider. Bookmark the permalink.